A Fourteenth Century Text in which Jesus Taught the Kingdom of God During the Night at Bethany: Does It Demonstrate That Secret Mark Is an Ancient Text, and Not a Modern Forgery? A PDF file of the essay can be found here. The 14th century polemical treatise Even Bohan written by Shem-Tob ben Shaprut contains a Hebrew version of the complete text of the Gospel of Matthew. In this text, Jesus is said to have spent the night in Bethany where he taught the disciples about the Kingdom of God. The Secret Gospel of Mark contains a similar passage. If the two texts can be shown to be interrelated it would provide strong evidence that the Secret Gospel of Mark is not a modern forgery. The Secret Gospel of Mark also demonstrates that the redactional history of the Jesus tradition is complex. The Even Bohan is an anti Christian treatise written by the Spanish Jewish philosopher Shem-Tob ben Isaac Shaprut of Tudela. It was initially composed between 1380 and 1385 CE. Shem-Tob issued several revisions of the Even Bohan, adding five more books to his original twelve. The twelfth book includes a complete Hebrew text of the Gospel of Matthew, which is interspersed with anti-Christian commentary. George Howard extracted the text of Matthew from the Even Bohan, translated it into English and published it in 1987 (George Howard, The Gospel of Matthew according to a Primitive Hebrew Text. Macon, GA: Mercer University Press, 1987). A second revised edition was published in 1995 (George Howard, Hebrew Gospel of Matthew, Macon, GA: Mercer University Press, 1995). This Hebrew Gospel of Matthew should not be confused with the so-called Gospel of the Hebrews ([i]). The Hebrew Gospel of Matthew is a version of the Gospel of Matthew, and George Howard argues convincingly for its antiquity ([ii]). The Secret Gospel of Mark is a text referred to in a letter attributed to Clement of Alexandria, a late second and early third century Christian scholar. Two excerpts from the Secret Gospel of Mark are quoted in the letter. A copy of the letter was discovered by Morton Smith in 1958, when he was cataloguing texts at the Mar Saba Monastery in Israel ([iii]). There is a subtle but noteworthy difference between the Greek and the Hebrew versions of Matthew 21:17. In this account, Jesus spend the night in Bethany, and no other significant events were reported as having occurred there ([iv]). The Shem-Tob Hebrew Gospel of Matthew, contains a verse (Shem-Tob Matthew 21:17) which has a direct counterpart in the Secret Gospel of Mark. Moreover, there is no corresponding overlap between Canonical Matthew and the Secret Gospel of Mark. The verse in Hebrew Matthew contains the first and last sentence of the paragraph from Secret Mark that Clement of Alexandria recorded in his Letter to Theodore (the phrases about Jesus’ interaction with the “certain woman” and Lazarus are excluded). The house of Hannaniah is of course Bethany (Beit Hannaniah). However, there are two noteworthy deviations from Howard’s translation. In Cook’s translation, Jesus was “seeking for them” the Kingdom of God, while Howard translates the same passage as Jesus was “explaining” it to them. Nevertheless, both translations imply that some form of instruction took place, either in the form of a didactic explanation, or as a set of directions (i.e. how to seek or get to the kingdom of God). The Hebrew word דורש, transcribed as Doresh, has two meanings. One is to demand something, which does not fit the context; the other is “to enlighten” or “to tell”, which does fit. According to the text, Jesus told (taught) them, or enlightened them about the Kingdom of God. The second deviation is that Professor Cook left out the passage that Howard put in brackets indicating that Jesus spent the night in Bethany. This, however, is because the text translated by Cook came from a manuscript, Ms. Add. no. 26964, British Library, London, where the passage in brackets is missing. Howard’s translation, on the other hand, is a reconstruction based on several other manuscripts (mss A, B, D, E, F and G) (v). Ms. Add. no. 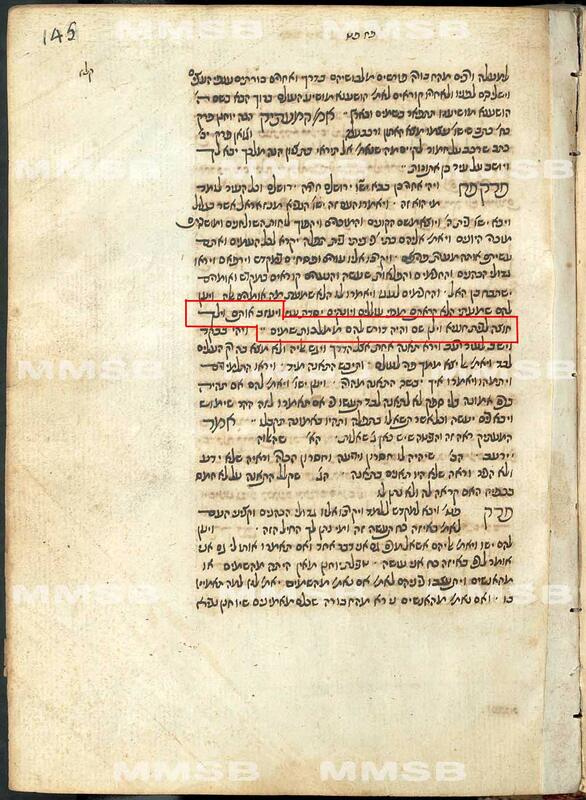 26964 has וילך שם, transcribed as Vayelech Sham, which means “and he went there”, just as Professor Cook translated it. 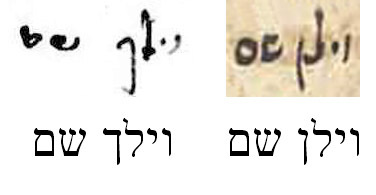 The other six mss have וילן שם, transcribed as Vayalun Sham, which means “and he slept there”, or as Howard translates it: “and he spent the night there”. This also corresponds to the Greek text of Matthew, where the word ηὐλίσθη (êulisthê) is used, which means to “lodge” ([vii]), i.e. “spend the night”. Below is the actual page from Ms. Add. no. 26964 with the relevant part marked by us. As far as we can tell, Howard has correctly transcribed the text. The additional text, (spent the night), is present in the manuscript Howard called A; (Ms. Heb. 28. Bibliotheek der Rijksuniversiteit, Leiden) and other manuscripts. A copy of the actual page from Howard’s manuscript A is presented below with the relevant part marked by us. This document has the complete phrase “and he spent the night there” (וילן שם) instead of the British Library manuscript’s truncated phrase “and he went there” (וילך שם). The word “mystery” is not in the Hebrew text. Hebrew Matthew 21:17 refers only to “the Kingdom of God” but not to “the mystery of the Kingdom of God” as in Secret Mark. According to Secret Mark, after he raised the youth from the dead and taught him about the Kingdom of God, Jesus returned to the other side of the Jordan ([viii]). According to Shem-Tob Hebrew Matthew, after he taught the Kingdom of God, Jesus returned to Jerusalem ([ix]). The Gospel of John (John 1:28) stated that John the Baptist performed baptisms at “Bethany beyond the Jordan”. This “Bethany beyond the Jordan” appears to be the place where Jesus raised the youth in the Secret Gospel of Mark. This “Bethany beyond the Jordan” seems to be at a different location from the Bethany in Matthew 21:17 (located an evening’s walk from Jerusalem), which John 11:18 stated was 3 km (2 miles) from Jerusalem. The apparent duplication of Bethany’s encountered in the Gospels can be explained with the following arguments. First, some early manuscripts of the Gospel of John used the place name Bethabarah rather than “Bethany beyond the Jordan”. Second, Origen indicated that there was only one Bethany ([x]). The apparent duplication of Bethany’s was due to confusion of similar place names. Third, and most importantly, it is likely that Secret Mark followed the narrative sequence in the Gospel of John rather than the Synoptic Gospels. Instead of returning to Jerusalem after spending the night at Bethany, as he did in the Synoptic Gospels, Jesus, following the Resurrection of Lazarus, went to the Jordan River, just as he did in the Gospel of John ([xi]). In light of this, there are striking intertextual similarities which need to be taken under consideration. 1) In both Secret Mark and Shem-Tob Hebrew Matthew, a significant incident occurred in a village called Bethany. 2) In both texts, Jesus taught [the mystery of] the Kingdom of God. 3) In both texts, he taught his disciples, or a recently converted disciple. 4) In both texts, the teaching was done at night. The Hebrew Matthew of the Even Bohan has many similarities to writings other than just the Greek Gospel of Matthew. It reflects readings in other ancient manuscripts such as Codex Sinaiticus and the Gospel of Thomas ([xii]). Finally, a fairly long passage from the Gospel of Mark was incorporated into in the text of Shem-Tob Hebrew Matthew ([xiii]) (xvii). While there is some controversy regarding the dating of its various sources, Shem-Tob Matthew appears to reflect both well established ancient texts, and texts that have only recently been discovered. It seems likely that it has preserved an otherwise lost tradition of Jesus’ night-time teaching of (the mystery of) the Kingdom of God in Bethany. 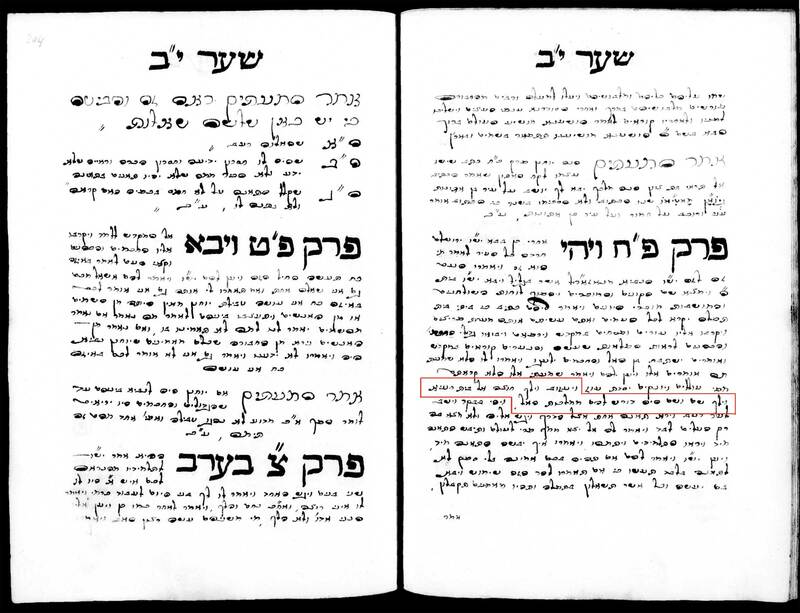 Shem-Tob’s Hebrew Matthew used information found in the now lost longer version of Mark quoted in Clement’s letter to Theodore. This information about teaching in Bethany is not found in the shorter standard version of the Gospel of Mark. The Secret Gospel of Mark and Shem-Tob’s Hebrew Matthew share a common tradition. Since it has been demonstrated that Secret Mark is related to an obscure text that was written down in the fourteenth century, it is improbable that the excerpts from Secret Mark are a modern forgery. Was Morton Smith aware of Shem-Tob’s Hebrew Matthew? Was Morton Smith aware of Shem-Tob’s Hebrew Matthew and could he have used it to forge Secret Mark? This is unlikely for several reasons. Shem-Tob’s Hebrew Matthew had not been transcribed for general distribution, and was not translated into English and published until 1987. Prior to then, neither Morton Smith, nor anyone else, had easy access to, let alone knowledge of a Hebrew text of Shem-Tob Matthew ([xiv]). Smith of course knew Hebrew and theoretically could have found the manuscripts of Shem-Tob Matthew. One manuscript is in the British Library in London, one is in Leiden, three are in Oxford and four are in the Library of the Jewish Theological Seminary of America, New York ([xv]). The Jewish Theological Seminary is just a few streets away from Columbia University where Smith had his office, and Smith did spend time at the Jewish Theological Seminary. As far as we can tell, Smith did not work with the Gospel of Matthew during the 1950s and is not known to have transcribed or translated a Hebrew version of any Gospel. Moreover, Smith was not particularly interested in medieval Jewish manuscripts. As Allan Pantuck tells us: “He once reconstructed a passage of the Dead Sea Scrolls from a book at JTS, but even in this case, he had Shaye Cohen assist him” ([xvi]). Smith was appointed to the Columbia faculty in the fall of 1957, and discovered Secret Mark during the summer of 1958. He had almost no time to find the JTS manuscripts, understand their significance, and then craft a forgery in preparation for his 1958 summer trip to the Mar Saba Monastery. In fact, he wrote in a letter that his heavy class load severely limited his time to do additional work (xvi). Smith also would have had to delete the same phrase from his forgery that was missing from the London Library manuscript, but not from all of the JTS manuscripts. Therefore Smith’s having forged Clement’s letter becomes a virtual non-issue. It would take an extraordinary stretch of the imagination to believe that Morton Smith burrowed into a seventeen volume handwritten medieval Jewish text, found a sentence in the Hebrew version of the Gospel of Matthew, that is subtly different from the standard Greek text and then used this sentence as the basis of the beginning and end of a forged invented version of the Gospel of Mark. He would have to have inserted the word “mystery”, replaced the disciples with a youth, used the Gospel of John to locate Bethany, and correlated his forgery with episodes from the Gospel of John and a narrative lacuna in the Gospel of Mark. This scenario should be eliminated by applying Occam’s razor. We have made another discovery. At this point in time, we are not sure if it is just a strange coincidence based on stylistic similarities of the source materials, or if it represents the result of deliberate text borrowing by an ancient redactor in order to preserve a hidden tradition. As previously stated, Shem-Tob Matthew contains a large block of text taken from the Gospel of Mark (xvii). The text of Mark 9:20–28 was inserted into Shem-Tob Hebrew Matthew between Matthew 17:17 and Matthew 17:19. This is the only large block of text from another Gospel that has been inserted into Hebrew Matthew. The Greek in the two passages is very close. … he stretched forth his hand and raised him, seizing his hand … came into the house of the youth. Isn’t it an amazing coincidence that Secret Mark has parallels with the only lengthy passage from the Gospel of Mark that was incorporated into Shem Tob Matthew? The parallel texts are about Jesus taking the hand of a seemingly dead youth, raising him, and then “coming into a house”. Furthermore, in each example, the “raising episode” is followed by Jesus offering instruction to his disciple(s) (see Matthew 17:19–21), which further emphasizes the text parallels. Additionally, where Secret Mark fills in a narrative gap in the received Greek Text of Mark (iv); the interpolation of the Markan text into Shem Tob Matthew fills in a narrative gap in the text of Matthew by adding supplementary details about the raising of the young boy. Finally, Shem-Tob Hebrew Matthew 17, Mark 9:20–28, and Secret Mark’s raising of the youth, and the Raising of Lazarus in the Gospel of John (John 11) have considerable narrative overlap. All this of course might just be due to a series of coincidences. However, these coincidences are found in a text where Jesus, while in Bethany at night, is said to have taught the disciples the Kingdom of God. One cannot help wondering if an otherwise lost tradition has been preserved at least in part in this Hebrew text of Matthew: a tradition that is also found in the Secret Gospel of Mark. The Secret Gospel of Mark suggests that the Gospels have a complex history of redaction and transmission. There is a tradition in Shem-Tob’s fourteenth century Hebrew Matthew, that while spending the night at Bethany, Jesus taught the Kingdom of God to his disciples. This tradition was practically unknown prior to the discovery of brief quotations from the Secret Gospel of Mark. This and other narrative and vocabulary parallels lend credibility to Secret Mark being an ancient text and not a modern forgery. [i] ) The Gospel of the Hebrews is attested by Irenaeus, Clement of Alexandria, Hegesippus, Origen, Eusebius, Cyril, Epiphanius, Jerome and others. [iii] ) Morton Smith, The Secret Gospel: The Discovery and Interpretation of the Secret Gospel According to Mark, London Victor Gollancz Ltd. 1974 ISBN 0-575-01801-1. The Secret Gospel of Mark fills in the lacuna in the standard version of Mark, by telling what occurred when Jesus passed through Jericho. [v] ) George Howard, Hebrew Gospel of Matthew, Macon, Ga.: Mercer University Press, 1995, p. xii, p. 102–103. [vi] ) Dr. Stephen L. Cook is the Catherine N. McBurney Professor of Old Testament Language and Literature at Virginia Theological Seminary. [vii] ) The New International Version/Interlinear Greek-English New Testament. Zondervan Publishing House, Grand Rapids Michigan, 1976, p. 93. Church fathers such as John Chrysostom and Origen believed the place was called Bethabarah. For instance Origen said in his Commentary to the Gospel of John (i, 28) that he could not find a place named Bethany along the Jordan, but there was a place called Bethabarah, which according to tradition, was linked to John the Baptist? Flavius Josephus mentioned a village called Bethezub (Jewish War 6.3.4 ) which from the text’s context, might have been located beyond the Jordan. This implies that the so-called Bethany on the other side of the Jordan was in fact called Bethabarah. [xi] ) The canonical and synoptic Gospel of Mark (11:11–15) and Gospel of Matthew (21:17–19), state that Jesus left the city of Jerusalem, spent the night in Bethany, and returned to Jerusalem the next day. There is no exact parallel in the Gospel of Luke. The Gospel of Luke does not mention a visit to Bethany. There was a daily teaching at the Temple (Luke 19:47) which might parallel the nocturnal teaching at Bethany in Secret Mark and Shem-Tob Matthew. In Shem-Tob Hebrew Matthew 21:17-18, Jesus left Jerusalem for Bethany where he spent the night explaining the Kingdom of God. He returned to Jerusalem the next day. In the excerpt from the Secret Gospel of Mark contained in Clement’s Letter to Theodore, Jesus went to Bethany, raised and taught Lazarus and then returned to the other side of the Jordan. In John 11, Jesus traveled from the “place where he was” outside of Judea (John 11:6–7) to Bethany, where he freed Lazarus from his tomb (John 11:41–44). The Temple Priests issued a death warrant for Jesus (John 11:53, 57). Jesus went into hiding and left for a region near the desert, a town called Ephraim (John 11:54). Six days before Passover, Jesus returned to Bethany (John 12:1) and then went to Jerusalem the next day (John 12:12). Ephraim is traditionally located about twelve miles northwest of Jerusalem where the mountains descend into the Jordan Valley (From: Footnote to John 11:54, New American Bible, Confraternity of Christian Doctrine, Inc., Washington, D.C. 1970). Ephraim was mentioned by Josephus as being a small town near Bethel (Josephus, Jewish War 4.55). Ephraim has been identified with the modern et-Tayibeh, about 4 miles NW of Bethel (F.F. Bruce, The Gospel of John. Wm. B. Eerdmans Publishing Co., Grand Rapids Michigan. 1983, p. 252). et-Tayibeh is located in the Jordan Valley, between tributaries of the river. In the Gospel of John, like the Secret Gospel of Mark, Jesus left Bethany and went down into the Jordan Valley after he released a youth from a tomb. The location of Ephraim is not certain, but even if Jesus did not actually cross over the Jordan when he went to Ephraim, he was in close proximity to the Jordan; that is he was situated just across from the Jordan. In his letter to Theodore, Clement wrote: “After these words follow the text, ’And James and John come to him’, and all that section.” This corresponds to Mark 10:35* (parallel Matthew 20:20) where the Zebedees requested precedence over the other disciples. This took place when Jesus was going up to Jerusalem (Mark 10:32) after having first gone beyond the Jordan to teach (Mark 10:1). At this point it is evident that the relationship between the texts is far from straightforward, and reveals that there was a very complex history of redaction and transmission of the Jesus legend. The links between texts are exposed by examining non canonical gospels. We have demonstrated that there was a tradition of Jesus teaching and crossing the Jordan, and then returning to Jerusalem. This tradition is found in both in the Gospel of Mark and the Gospel of John, and its presence is implied in the Secret Gospel of Mark. In both the Gospel of John and the Secret Gospel of Mark, Jesus went down into the Jordan Valley, after releasing a young man from his tomb. [xii] ) George Howard, Hebrew Gospel of Matthew, Macon, Ga.: Mercer University Press, 1995. Part 2. Analysis and Commentary. [xiii] ) See discussion in this essay’s chapter “Another “Raising” scene from the Gospel of Mark in Shem-Tob’s Hebrew Matthew”. [xiv] ) A translation of the du Tillet version of Hebrew Matthew had been published in 1927. du Tillet Hebrew Matthew is a different text type from Shem Tob Hebrew Matthew. The text of du Tillet Hebrew Matthew 21:17 is the same as the verse in canonical Matthew. Schonfield’s translation of du Tillet Hebrew Matthew gives no indication that the Shem-Tob text of this verse was different from the verse in the canonical text. Schonfield, Hugh J. An Old Hebrew Text of St. Matthew’s Gospel, T & T Clark, 1927, p. 142. C Ms. Opp. Add. 4° 72. Bodleian Library, Oxford. F Ms. 2209 (Marx 19). Library of the Jewish Theological Seminary of America, New York. [xvi] ) Personal communication with Allan Pantuck, July 22, 2011. Alan J. Pantuck was one of Morton Smith’s students and is a current defender of Morton Smith’s literary estate. Alan J. Pantuck, MD, MS, FACS, UCLA School of Medicine, Los Angeles, California. [xvii] ) George Howard, Hebrew Gospel of Matthew, Macon, Ga.: Mercer University Press. 1995, p. 85, 87. The text of Mark 9:20–28 was inserted into Shem-Tob Hebrew Matthew between Matthew 17:17 and Matthew 17:19. I’m surprised there aren’t more comments! I should mention that I’m a little confused by something you say–you say that ”Smith also would have had to delete the same phrase from his forgery that was missing from the London Library manuscript, but not from all of the JTS manuscripts.” I can’t tell what phrase you’re referring to–you seem to be referring to ”and he spent the night there”, but that phrase is not deleted by Smith. You may have made a small mistake here. Anyway, this discovery is unfortunately not a smoking gun exonerating Smith–for it is still possible (even though highly implausible) that Smith managed to stumble across the Hebrew manuscripts in the Theological Seminary library during his first few months at Columbia (because when else would he have found them? ), was suddenly inspired to combine the Markan passage with both the extra Bethany material and authentic Clement of Alexandria at the back of Voss’ book right where it would have been appropriate, all as a hoax which I guess he figured would be discovered in due time once someone translated the Hebrew Matthew into English. Again, possible, but extremely implausible. Still, bravo and kudos for showing just how convoluted the hoax hypothesis has to be in order to be true. Perhaps people don’t know what to make of it. Anyway, Smith couldn’t possibly have forged the letter in the period from when he entered at Columbia and until he made the discovery. He must if so have made the forgery earlier. I have a letter which Smith wrote to Gershom Sholem in December 9, 1957 in which he apologizes for not having had time to do anything on Gershom’s book because his courses takes every bit of his time. He has never given courses on ancient history and on classical literature before since they are a bit outside his field and he has to make a lot of preparations. He says that he is expecting of doing nothing for the next twelve month to come but that he will spend all summer in the Near East. This is the period when he is supposed to have prepared for his forgery. Could you please expound on this? Exactly what do you mean by “rabbinic Hebrew”; when did the period of “rabbinic Hebrew” end? The text was written in the fourteenth century but Hebrew Matthew is probably much older. Cook translated Doresh (דורש ) as “seeking” and Howard as “explaining”. You are saying that in this context it would mean to “expound”. Then Howard’s translation is closer to your. We were saying that it either means “to demand something” or “to enlighten”, “to tell”. To enlighten someone of something is perhaps close to expounding on something, and both would imply that some form of teaching took place, wouldn’t it?